Connecticut Magazine is the monthly glossy magazine Connecticut lives by. From delicious dining and world-class arts and culture, to the state’s most influential people and most pressing issues – it shines a light on the best of what Connecticut has to offer. 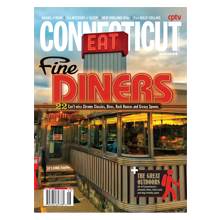 Along with in-depth and illuminating reporting, the magazine provides definitive, one-of-a-kind-in-Connecticut rankings of the state’s health practitioners, restaurants and entertainment, which readers rely on year after year. Connecticut Magazine’s subscriber base is greater than all local and most national magazines in Connecticut, including Time, Food & Wine, Travel & Leisure, Architectural Digest and a whole lot more. No magazine delivers Connecticut better! 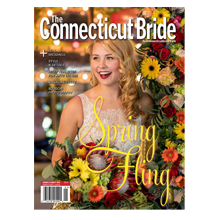 The Connecticut Bride publishes twice a year (Winter/Spring and Summer/Fall) and is sold on more than 500 newsstands across the state, with targeted drop distribution at bridal shops, registries, wedding retailers, advertiser locations, beauty salons and day spas. With elegant and stylish design, the magazine focuses on everything engaged couples and their families want to know about while planning this important occasion. Stories are focused solely on Connecticut venues, retailers and wedding professionals so it’s the ideal publication for businesses wanting to reach this targeted audience. 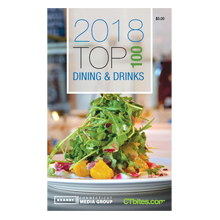 Hearst collaborates annually with CT Bites to publish an inspired and iconic, pocket-sized glossy guide highlighting the top restaurants across five counties in Connecticut. As a premium publication, this highly sought-after booklet is exclusively distributed to subscribers of Hearst Connecticut’s eight daily newspapers. It’s a go-to guide for consumers wanting to try the best restaurants and hidden gems around the state.